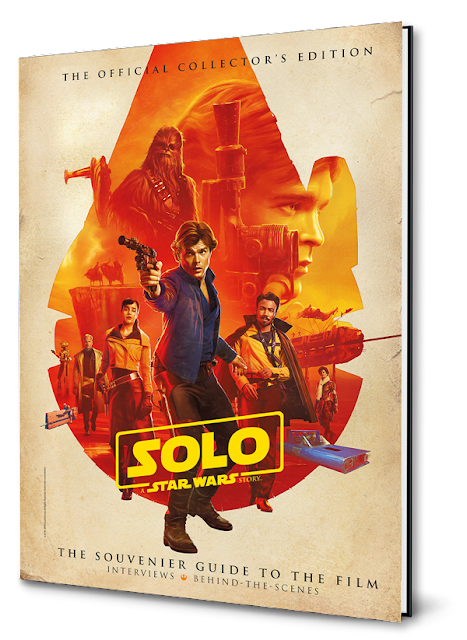 Pre-order Solo: A Star Wars Story - The Official Collector's Edition! In Solo: A Star Wars Story, Han Solo’s early life is explored as he first encounters Chewbacca, Lando Calrissian, and the Millennium Falcon. Character profiles and interviews including Alden Ehrenreich (Han Solo), Donald Glover (Lando Calrissian), and the movie’s director Ron Howard. Introduces new characters including Moloch, Dryden Vos, Lady Proxima, and Enfys Nest. Spotlights the movie’s new worlds. ALSO AVAILABLE IN SOFTBACK EDITION!